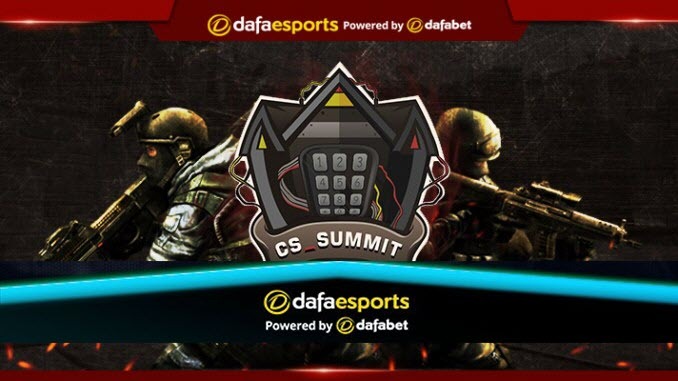 After steadily rising through the ranks for much of the year, NRG Esports struck gold by winning cs_summit 3. An event known primarily for its more laid-back atmosphere, so much so that even big-stage strugglers Team Liquid found a win previously, cs_summit 3 looked a perfect storm for a myriad of teams looking to find a taste of success. NRG were one such team and entered with one previous triumph this year – at IEM Shanghai in August. Opening against Ghost Gaming, a fellow North American squad currently on the rise, NRG had an incredibly-close series. Despite the best efforts of Ghost’s Wardell, NRG edged out a 2-1 win to set up a meeting with an Heroic side who had absolutely wiped the floor with Kinguin. Here NRG would have their most convincing showing of the event, picking up their lone clean 2-0 and entering the Upper Bracket Final against another hyped-up squad in BIG. BIG were a dangerous squad, with their talented pairing at the top of smooya and tabseN. In a peculiar set of maps where each win came via a margin of at least 16-8, NRG claimed the 2-1 victory with FugLy surprisingly leading the way. This put NRG into the Grand Final – and with a 1-0 start to the best-of-five series due to them coming through the Upper Bracket. There they would meet OpTic Gaming, who saw off BIG 2-0 in the Lower Bracket Final. The first map of the Final appeared to be a major blow to NRG’s chances, with the squad falling 16-14 on Nuke despite 30 frags from nahtE and 28 from CeRq, five more than the next closest players on the server. With daps having an horrific game with only nine kills, NRG needed to rebound in a hurry. They would do just that, pulling off a dominant 16-8 victory on Overpass with CeRq once again performing well. NRG had seized the momentum and brought it to the next map of Mirage where they absolutely blew OpTic out of the water, winning 16-6 off the back of Brehze’s absolutely absurd 30-kill effort in the 22 rounds of play, giving them the championship by a 3-1 scoreline. Brehze picked up the MVP award for the event, not just for his performance in the Grand Final, but being one of the focal points of the team throughout the event. NRG’s progression up the rankings throughout the year has been predicated on their young star trio of Brehze, CeRq and nahtE, supported well by a pair of veterans in FugLy and in-game leader daps. FugLy has actually had a surprising amount of impact for this squad, outperforming expectations and at times picking up the squad when the aforementioned trio have faltered under the pressure. Moving forward, this is where things become more difficult for NRG, given they have yet to perform at an event filled to the brim with tier-one talent. This success was, however, a nice confidence-booster, especially given the uncertainty at the top of Counter Strike currently outside of Astralis. There is a distinct possibility NRG could replace FaZe, MIBR or others within the top five should they continue their rise and others progress with their uncertainty. If NRG can put together a couple of top-four finishes over the next couple of months, 2019 has a chance to be their year.